Detail of Ridgewood Village Conceptual Master Plan. photo by Ryan Burns From left: Cutten-Ridgewood residents Tim McKeefe, Minnie Wolf, Jim Yarnall. photo by Ryan Burns Project Manager Mike Atkins. photo by Ryan Burns Senior County Planner Michael Wheeler. Until a few years ago, the biggest planned residential development in county history was Shelter Cove, site of the infamous late-'60s real estate swindle in which unscrupulous developers tried to sell thousands of residential lots, many of them unbuildable, on the remote, singularly beautiful -- but tectonically violent -- Lost Coast. Most of the lots never sold, and many of the ones that did remain in a spin cycle of foreclosures ("The Shelter Cove Saga," Aug. 28, 2003). The social and political backlash from developments like Shelter Cove led to new development restrictions (including the creation of the California Coastal Commission) and helped fuel a movement that would later be dubbed "smart growth." This is something of a paradox. Smart growth usually focuses on infill, strategically focusing development within the limits of existing city infrastructure. Ridgewood Village is different. By North Coast standards -- hell, any standards -- the project as currently proposed is simply massive in scope: Three hundred eighty-six acres of timberland -- currently zoned residential low density -- would be developed in nine stages between 2012 and 2030, eventually yielding up to 1,442 residential units, including single-family homes as well as town houses and apartments for seniors and low-income residents. On the southern 66 acres, developers would erect a 327,000-square-foot commercial district (about half the size of the Bayshore Mall) with a grocery store and various smaller businesses on the ground floor, office space and apartments above, and below, an underground parking lot. Five neighborhood parks would be complemented by more than 200 acres of working community forest, which, if all goes as planned, will be donated to a nonprofit conservation group. The developer is Forster-Gill, a timber and property-management firm based in San Luis Obispo, though the Gill family has local roots, as do project partners Scott Dunn and the Robinson family. To achieve their vision, the developers have asked the county to do four things: Change the zoning on the three existing parcels, approve the subdivision of those parcels, certify a 3,300-page Draft Environmental Impact Report (DEIR) and enter into a development agreement that will guide all future stages of the project. 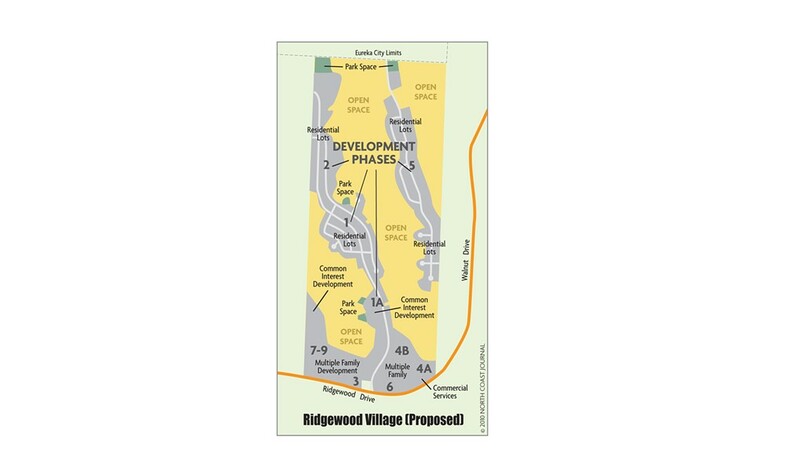 As details of the Ridgewood Village plans have emerged, residents of the surrounding neighborhoods have grown more and more concerned. They've kept tabs on the project since the initial community meetings in early 2007, and now, with the project proposals about to move from the county planning agency to the Board of Supervisors for approval, their protestations have taken on a heightened urgency. At the July 15 Planning Commission meeting, area residents -- their demeanors ranging from clinical to livid -- characterized Ridgewood Village as a wolf in sheep's clothing. Its so-called "smart growth" amenities are mere window dressing, they claimed, for a massive, poorly planned nightmare of a development that will forever transform their quiet neck of the woods into a dangerous, traffic-clogged mess, one whose long-term costs will be foisted upon taxpayers. 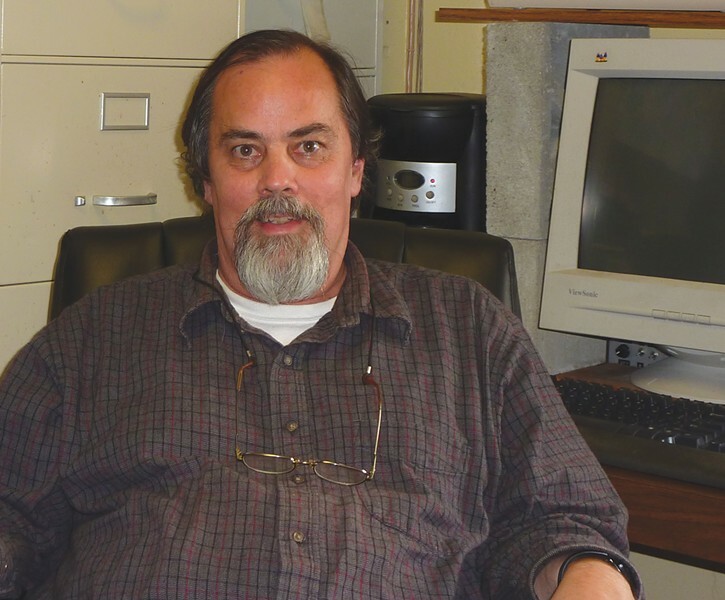 Project Manager Mike Atkins, a longtime forestry worker turned consultant, sympathizes, to an extent, with the public's reservations. "It's a master-planned project, so it looks really big -- frighteningly large," he concedes. 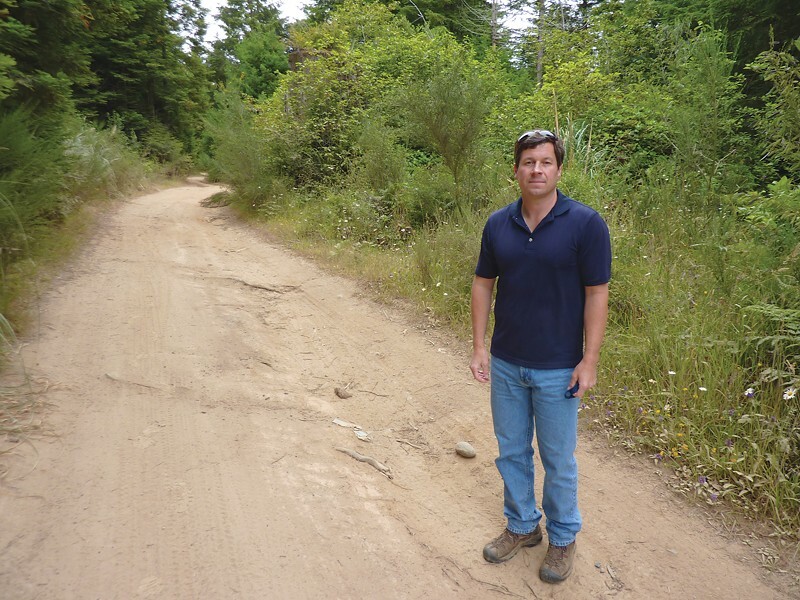 Last week, as he walked along the dusty ridge-top logging road that will someday become Ridgewood Hills Drive, Atkins said the project's size can be misleading. Growth, he pointed out, will happen one way or another. "Look at McKinelyville," he said, referencing the town he himself lives in. "They had almost 1,000 units approved in the last decade, and nobody blinked an eye -- because nobody put it on a single piece of paper." That town's haphazard, leapfrogging sprawl is often cited by smart-growthers as an example of how not to proceed with community development. This tract, on the other hand, has been slated for development since the early '80s, and Ridgewood Village, he said, is precisely the type of project the county has been asking for. So which is it? Is Ridgewood Village an example of a big-picture developer finally doing things the right way? Or is it a Trojan horse cloaked in the vestments of smart growth, just waiting to unleash congestion, blight and public endangerment? These types of questions are supposed to be answered in the DEIR, which in this case consists of nearly 500 pages (plus 2,800 pages of appendices) addressing everything from geology, air quality and plant and animal life to traffic, public services, employment and more. And yet, despite the report's substantial heft, many who have dug into it, including both laypeople and public officials, have found the document wanting. "It seems great until you really look at the details," said neighboring resident Tim Keefe. As an archaeologist with the California Department of Transportation (though speaking strictly as an individual), Keefe said he's examined many EIRs, none as complex as this. "For the average reader this is nearly incomprehensible," he said, pointing to a copy of the spiral-bound report. He and three other Cutten-Ridgewood residents, all members of the Humboldt-Cutten Citizens for Responsible Development, a group formed specifically to watchdog the Ridgewood Village project, came to the Journal offices last week to voice their concerns. Their underlying complaint is not that the DEIR is flawed, though they believe it certainly is. No, what worries them most is that Humboldt County Community Development Services (the planning department) and Board of Supervisors might actually approve such a document. County employees, they say, have become altogether too cozy with development interests. "The county Planning Department should be looking out, not for the financial return of the developer, but rather the well-being of the entire community," said Jim Yarnall, who recently retired as assistant chief of operations for the Eureka Fire Department, and whose anger was palpable. Neighbor Minnie Wolf worries about Ridgewood Village's impact on both traffic and the local water supply, among other things. And George Davis, the most soft-spoken of the bunch, doesn't buy Forster-Gill's claims that through assessment fees and tax-base increases, the development will essentially pay for itself. He believes that the project's many loose ends will end up costing local taxpayers. These four are hardly alone. At that July 15 Planning Commission meeting, the public comment period expired well before everyone present had spoken (though not before one man could level a thinly veiled threat, sneering, "Gun sales went up in the last year by 45 percent. It's getting hot. And you guys better start listening to us and playing by a new set of rules"). The commissioners ultimately agreed to extend the public comment period for a third time (though the threat didn't appear to have much bearing on the decision). Residents now have until Aug. 30 to submit comments. Given the size of Ridgewood Village, and its proposed location on existing timberland (the property's residential zoning notwithstanding), it might be tempting to dismiss this hubbub as run-of-the-mill nimbyism. After all, the county's Eureka Community Plan, which has been in place since 1995, allows up to 940 units to be built on the property without requiring so much as a traffic study, according to Senior County Planner Michael Wheeler. In other words, neighbors may not want growth there, but it has been in the cards for years. Still, neighbors aren't the only ones raising a stink. Officials with the City of Eureka, the Humboldt Fire District, the Blue Lake Rancheria Tribe and beyond have expressed their own concerns, many of which were set to be presented Tuesday, Aug. 3, when the Eureka City Council officially weighs in on the project. "There are real impacts from the development that have not been considered," Eureka City Manager David Tyson said last week. Though the project is located outside city limits, Tyson said it's bound to have drastic impacts on city resources, including its sewer system, police and fire services, streets division, recreation facilities and commercial tax base. But where the DEIR really comes up short -- and an area of particular public concern -- is its traffic analysis, Tyson said. The City already struggles with congestion and safety issues on the roads and intersections in that area, yet neither the City nor Caltrans was consulted during the traffic study, he said. That study was conducted by Pleasanton-based consulting firm TJKM Transportation Consultants, the same company hired by the City for its Marina Center DEIR. They do good work, Eureka Community Development Director Sidnie Olson said, but they were hindered in this case by the lack of communication. "We don't know why -- we have no idea why -- the City and Caltrans were not consulted," Olson said. Regardless, flawed findings in the DEIR soon came to the attention of City staff. For example, a traffic simulation program predicted that traffic heading northbound on F Street would use Manzanita Avenue to travel east, when any human familiar with the area knows that traffic turns right at Harris, not Manzanita. Therefore, the traffic signal recommended for F and Manzanita is misplaced, Olson said. Plans call for a new road connecting Ridgewood Drive with the Lundbar Hills neighborhood, near the municipal golf course. That road, Ridgewood Hills Drive, would serve as one of three entry points for the development, which neighbors argue is insufficient, saying that the surrounding roads can barely handle existing traffic, let alone the 25,000 additional daily vehicle trips anticipated with full project build-out. Myriad mitigation measures are included in the traffic study, including the installation of eight new traffic signals, but City of Eureka employees want the simulations to be reworked entirely. "We believe the traffic model needs to be rerun with the consultation of Caltrans and the City," Olson said. City and county jurisdictions overlap elsewhere, too, include fire protection and law enforcement. Through a joint services agreement, the Eureka Fire Protection District (EFD) and Humboldt No. 1 Fire Protection District (HFD) cooperate on fire response calls. HFD Fire Chief Ken Woods said the DEIR doesn't adequately address fire hazards beyond phase one of the project. The access roads and structures within the development could present serious challenges, he said. For instance, the commercial development includes several three-story buildings, which would only be reachable by ladder truck. But it's the City's fire department, not HFD, that has the only ladder truck in the area, meaning longer response times for fires in such buildings. Nor is it clear that HFD could even access certain areas with existing equipment, including the commercial district and its underground garage, Woods added. Forster-Gill has promised to dedicate a portion of land for a new fire station within the project boundaries, but Woods said the site is too small and not optimally located. HFD is in the process of implementing a district-wide impact fee, which will help pay for the increased personnel necessary to service the added population. New property taxes will also help fund both fire and law enforcement services. But Olson said the methodology used to calculate future costs for those and other services was yet another flaw. For one thing, she said, consultants used existing staffing levels as a baseline to calculate future personnel needs despite the fact that local agencies are currently understaffed. Furthermore, she said, predictable costs elsewhere, including public works and engineering, are not fully addressed. "That discussion is not in there," Olson said of the DEIR, "so there's no way for us to know if the increase in property taxes is realistically an appropriate mitigation measure." Plenty of other issues have been raised -- far too many to enumerate in these pages. 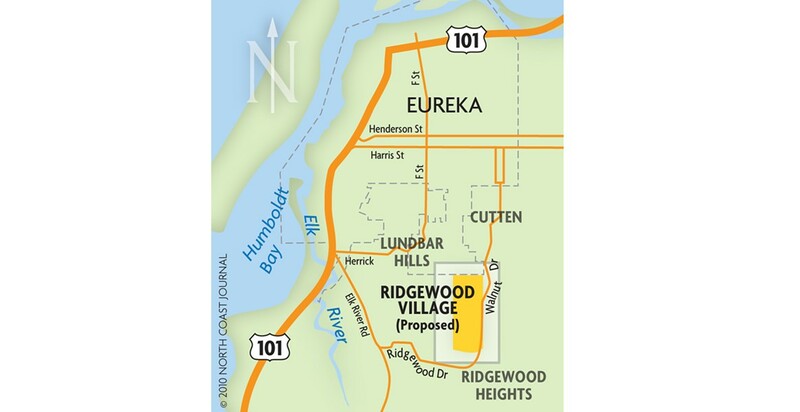 A few worth mentioning, though, include the Blue Lake Rancheria's concerns about culturally significant places near the project site; the City of Eureka's fear that Ridgewood Village's commercial development could draw business away from downtown; the potential erosion caused by displacing hundreds of thousands of cubic yards of soil (nearly 100,000 cubic yards will be moved for phase one alone); the management and usability (or lack thereof) of the steep-sloped community forest land; the impact to Eureka's aging sewer system; and, perhaps most alarmingly, the dearth of detailed analysis for phases two through nine. (The DEIR calls for additional studies for each subsequent phase, though a development agreement currently being drafted between Forster-Gill and the county will largely define the parameters of that growth.) These concerns will be submitted to the Planning Commission for response. The four neighbors who brought their concerns to the Journal have treated their copies of the DEIR like well-worn textbooks, highlighting key passages, dog-earing page corners and sticking on countless multi-colored Post-it notes as tab dividers. They see mistakes almost everywhere they look: Chapter numbers in the table of contents are out of sequence; a roadway discussion in Chapter Two refers readers to the wrong image; and Chapter 11 lists General Hospital as active, despite the fact that St. Joseph Hospital purchased it nearly a decade ago. "Those are trivial things, but they're indicators of a flawed document," said Yarnall. "When you rush these things you end up with Shelter Cove." 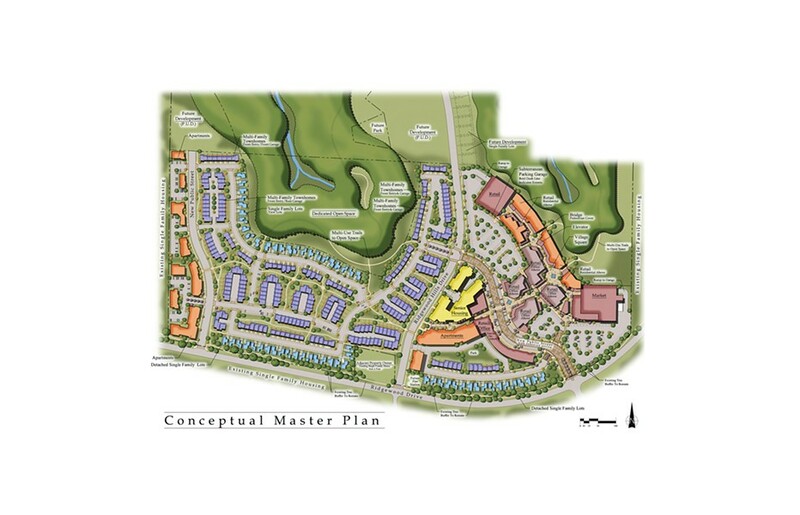 Phase one of Ridgewood Village, which would proceed immediately upon approval by the Board of Supervisors, calls for 176 single-family homes, 73 senior housing units, 40 acres of donated open space and three small "pocket parks" totaling 1.76 acres (the minimum allowed under county guidelines). Walking among the slash piles, Sitka spruce and third-growth redwoods that currently line the main logging road through the property, it can be difficult to imagine all that development. Not for Mike Atkins, though. As project manager he's seen the plans and walked the ridgelines enough times to know exactly where things will go. As for the DEIR, Atkins pointed out that it's not Forster-Gill's document -- they simply paid for it. The county was responsible for guiding the process -- hiring the consultants, compiling their reports and preparing the document. "Ultimately," Atkins said, "we have to fall on what the experts say." One oft-repeated false rumor is that Ridgewood Village alone will provide enough housing to satisfy the county's state-mandated quotas for the next 20 years. In fact, it will yield less than 28 percent of the required inventory. But the project will go a long way toward meeting the county's quota for low-income housing, thus solving a perennial problem facing the county planning department. Developers rarely want to build low-income housing because their rate of return is much lower than on traditional housing. 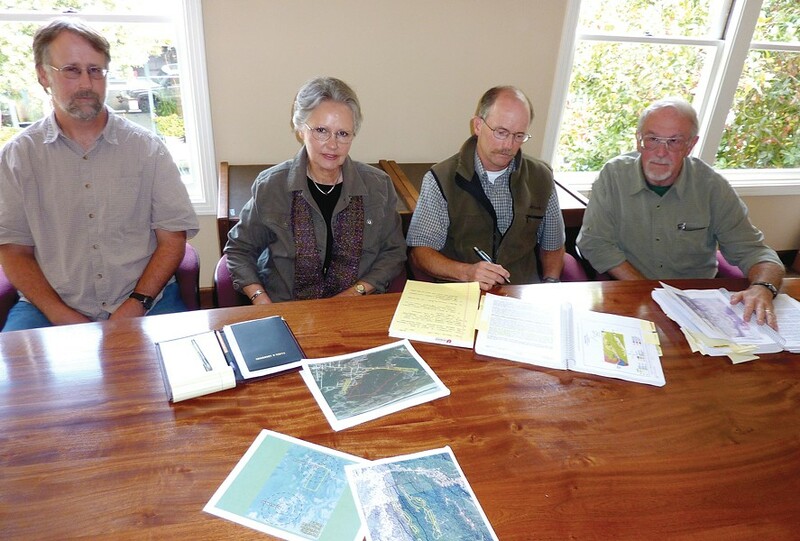 But Forster-Gill has partnered with the Humboldt Bay Housing and Development Corporation to help finance deed-restricted affordable housing. Five percent of all single-family homes and 20 percent of the total residential unit density will be set aside for affordable housing. In recommending the project, county staff concluded that Ridgewood Village is in the public interest thanks not only to its affordable housing but also its "walkable neighborhoods, parks, trails and open spaces, and neighborhood community services." The project includes many other amenities that weren't necessarily required, including the 200 acres of greenland open spaces, which eventually will be linked to adjoining timber parcels, essentially doubling the size of the community forest, according to Atkins. So far, that forest is the only part of Ridgewood Village that actually exists. The rest can only be imagined with help from romanticized conceptual drawings and the wonky minutia of the DEIR, which clearly conjure differing visions depending upon the reader. The opinions that matter most -- and that presumably are still being formed -- belong to the individuals on the Planning Commission, which is still considering the project, and the Board of Supervisors, which has final say on the matter. If you happen to be reading this before 6 p.m. Thursday, you may still have time to make it to the Planning Commission meeting at the courthouse, where public comment is scheduled to continue.